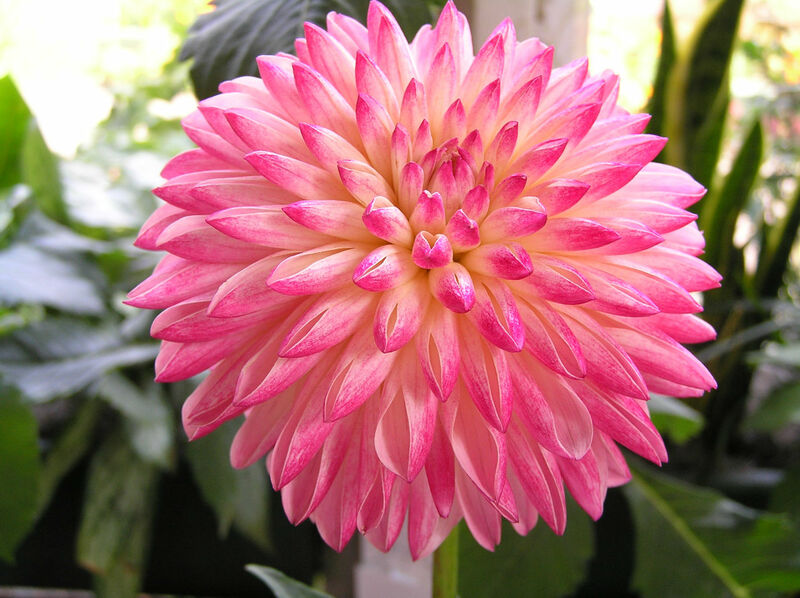 Dahlias are tuberous-rooted late summer flowering plants, which grow wild in Mexico and Guatemala. They belong to the Daisy family and are named after a Swedish botanist, Dr. Dahl. They are suitable for all zones and come in every color or combination of colors, except blue. Their size ranges from over 10 inches in diameter (giant) to pompons, which are less than 2 inches. Within the larger sizes there are six different formations: Formal Decorative, Informal Decorative, Semi-Cactus, Straight Cactus, Incurved Cactus and Laciniated. Dahlias require a growing area that receives at least a half-day of sunlight, good drainage, and they like an ample supply of nutrients. Typically, bush dahlias grow 5 feet tall and require staking, while other varieties such as the common “Bedding Dahlias” found at your local nursery will only grow to a height of about 15 inches. The dahlia root (tuber) is planted horizontally to a depth of about 3-5 inches after the last frost (mid to late May), with the growing eye pointed upwards and 2-3 inches from the stake (attach variety label). There is usually enough moisture in the ground to sustain the initial growing phase and the main shoot will break the soil surface after a few weeks. Dahlias can also be grown from seeds (hybrids) or rooted cuttings (propagating) taken from tubers that produce plants identical to that of the parent. After your dahlias start to grow and the warmer summer months arrive, a deep watering twice a week will sustain healthy plant growth in a normal growing season. Many garden pests and insects (cutworms, slugs, mites, leaf hoppers….etc.) might invade your dahlia patch during the growing season and damage your plants. Keeping watchful eyes and developing a program to control the harmful pests is recommended. Normally, dahlias are grown on a single stalk, with multiple shoots removed as they emerge from the ground. The growing tip is removed (pinched) when the plant reaches 6-10 inches in height, promoting lateral growth (side shoots) and multiple blooms. If you want to maximize the number of blooms and garden splendor, let all of the buds flower. Another option is to limit the number of laterals and remove (disbud) the side buds adjacent to the main bud for the larger varieties to increase the bloom size. Either way, you’ll get much satisfaction, be the envy of the neighborhood or find yourself in competition at a flower show. are labeled with the variety name and placed in winter storage (area above freezing and generally in the 40-50 °F range). Although the winter storage techniques may vary by grower and with experience, the principles of over-wintering dahlia roots are quite similar. Maintaining a stable environment (humidity and temperature) will produce the best results. About our Display Garden …. 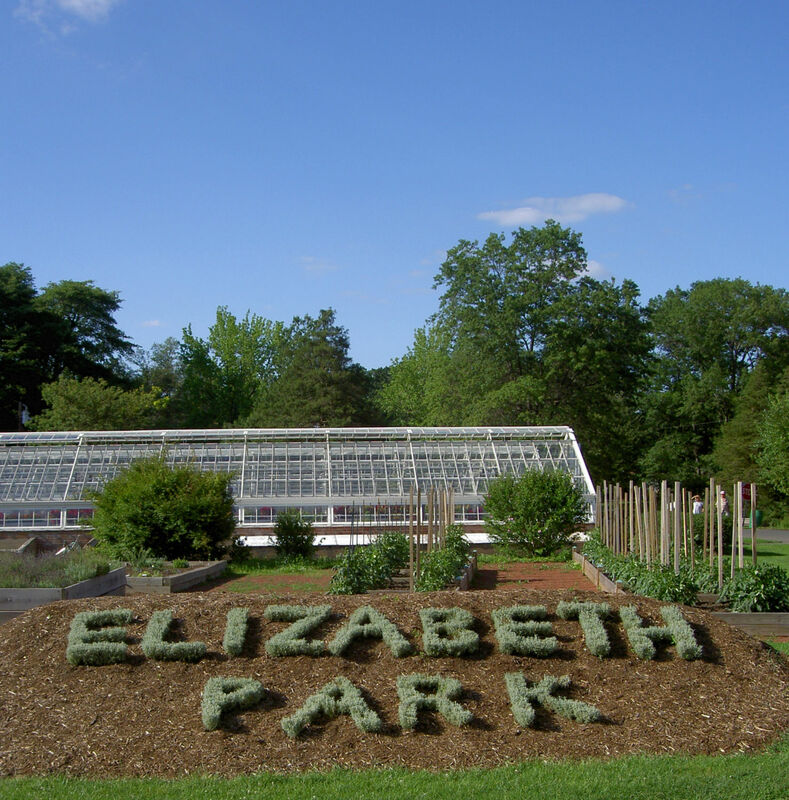 The dahlia display garden at Elizabeth Park provides an area to promote the flower, learn dahlia culture, volunteer to help maintain the garden and for visitors to enjoy. Society members prepare the raised dahlia beds and position the stakes early in May and plant the tubers a few weeks later. The summer months consist of watering, tying and deadheading the old blooms until the first frost arrives. The canes are cut after the garden has been killed by the frost and the roots are dug and stored for the winter. 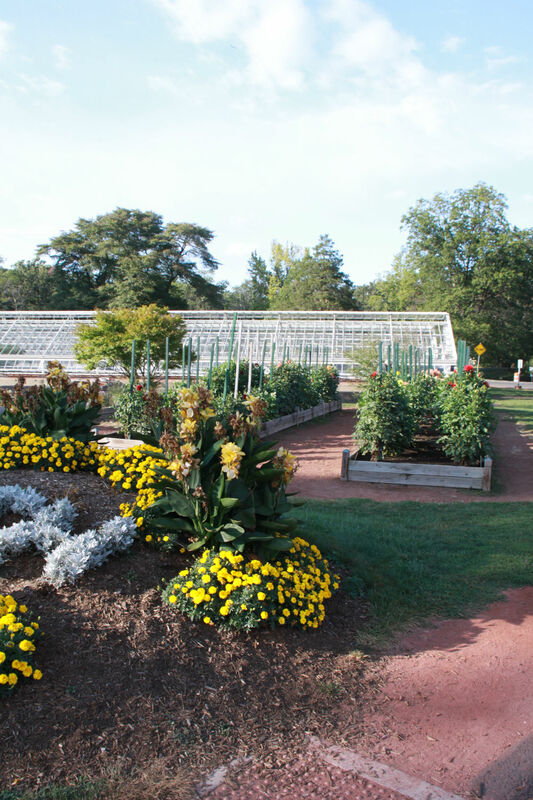 The Connecticut Dahlia Society consists of members with the common goal of stimulating interest and promoting the culture and development of the dahlia. This organization is also a member of the North Atlantic Dahlia Conference (NADC), which consists of individual dahlia societies from this region of the American Dahlia Society (ADS). The ADS provides a classification system and quarterly bulletins with a wealth of information and listings of commercial dahlia suppliers. For more information visit their website at http://www.dahlia.org and explore this fascinating hobby. brings dahlia exhibitors from six states who stage their blooms for competitive judging, ribbons, and prizes. The show room floor is filled with hundreds of beautiful dahlias and the winning entries are displayed on the “Court of Honor”. We look forward to seeing you at our show and don’t forget to bring your camera!